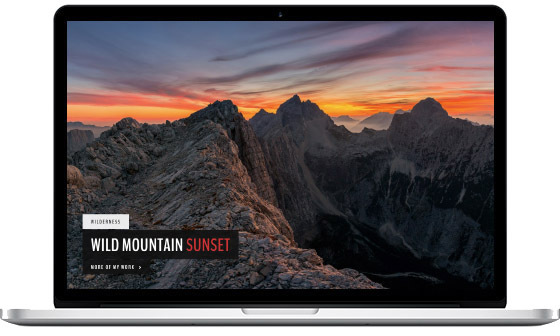 LandScape is our latest WordPress theme for photographers, bloggers, creative artists, and those in need of a solid digital portfolio solution. 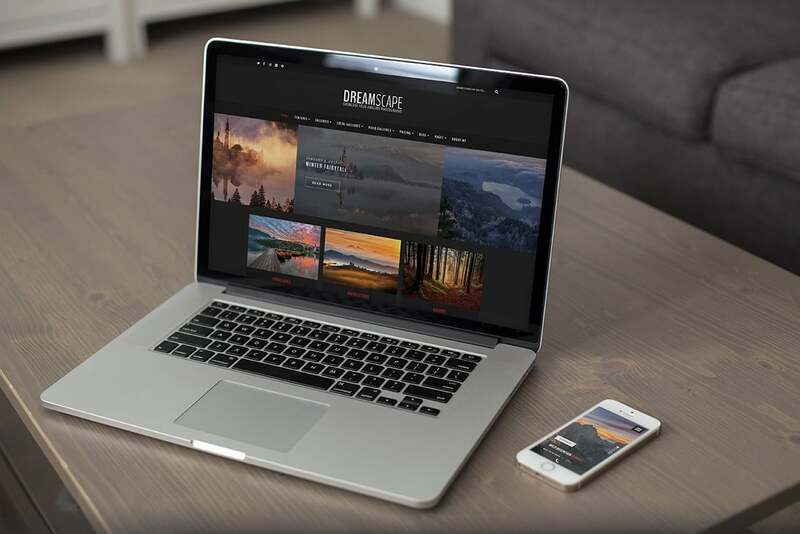 Through careful thinking process, this theme was specifically crafted to adapt to modern needs of professional photographers, including a full-fledged support for responsive devices, so that your photographs look stunning on any smartphone or tablet devices. As photography enthusiasts ourselves, we understand what it takes for a photography theme to stand out from the crowd. This is why we built 8 sets of pre-defined layouts for you to choose from. 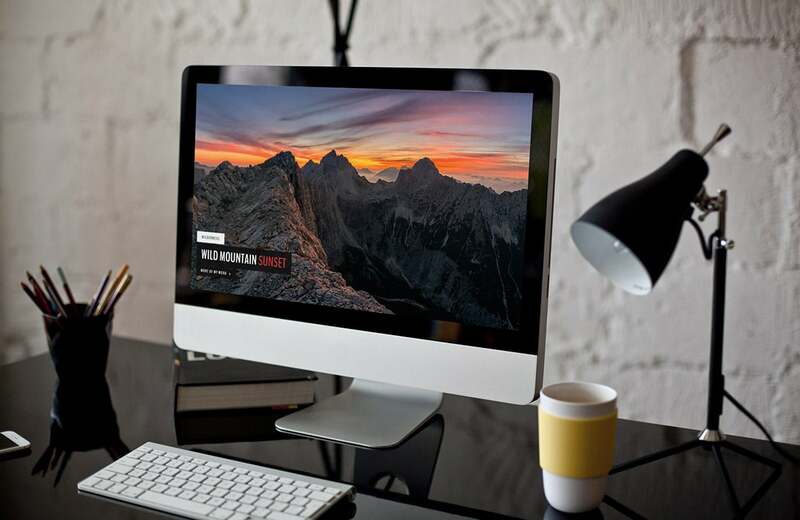 Those include a traditional fullscreen slider, grid layouts for those of you who enjoy writing blog posts, a boxed layout, journal slider, and fullscreen video layouts. Just in case some of you are avid fans of videography. My wish for a long time was to make a WordPress Theme with only my images in it. Over the past few years, I shot a lot of images in various seasons and locations and I was intrigued how they would look in a WordPress Theme for sale. It turned out they are a perfect match for several styles. If you like them, please check my personal photography website, DreamyPixel. The package with the images used in the live demos can be seen by clicking the image below. First impressions are important, and with LandScape you won’t have to worry about leaving a lasting impression on your website visitors. With an inbuilt slideshow widget, you can highlight your best photos using full-screen slides. This way you give your visitors an instant taste of what you have to offer. Without any prior experience in coding, you can quickly create a slideshow that will feel organic, and without any extra design clutter that could distract your readers. Clean & Crisp: Designed with Latest Design Standards. 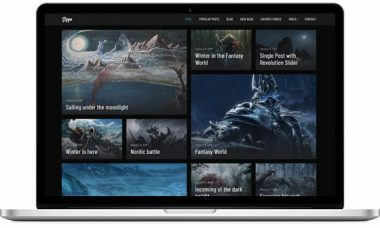 LandScape comes pre-built with a selection of 8 unique layouts for your blog and home page needs. You can select your blog layouts with sidebars or full-width layouts. Both layouts include featured posts and about widgets underneath the menu navigation. You can preview each of the layouts on our live demo page. Design layouts are not limited as you can create custom layouts based on content and layout blocks provided by the Landscape theme. If you need a Grid Layout presentation, look no further as Landscape will happily accommodate those customers who prefer this kind of layout. Getting the most out of any WordPress theme comes down to two things; documentation, and customer support. We at PremiumCoding are proud to take both very seriously. Not only is the LandScape theme easy to use, we also provide an extensive documentation. This will help you understand each of the meaningful features in-depth. And if that isn’t enough, customers are encouraged to open a support ticket whenever there seems to be a complex issue at hand. Slider Revolution is one of the leading responsive slider plugins for WordPress. It can display your content in ways that are attention captivating, and pleasant to look at. Whether you need a Slider, Carousel, a Hero Image, or transform the whole of your Front Page — Slider Revolution makes the process take only a few minutes of your time. This is possible thanks to the drag & drop slides editor. 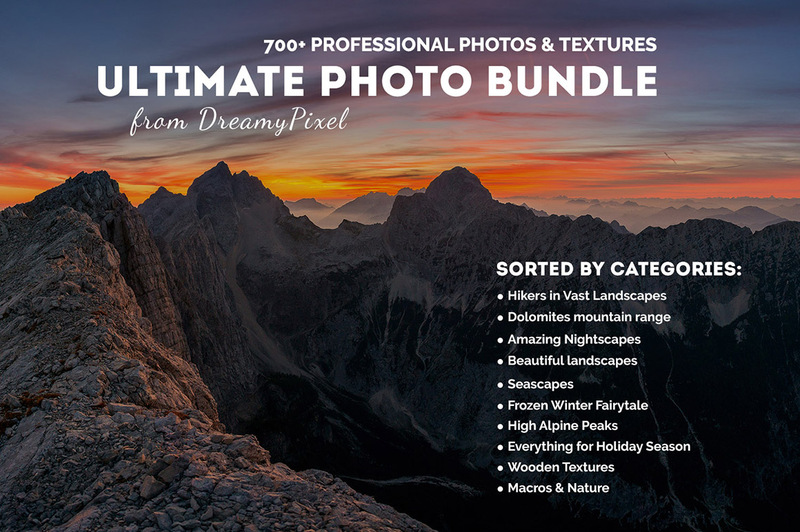 We are including this premium plugin with each purchase of LandScape for free. We take pride in our theme designs, and always strive to provide an end-result that will impress our customers. LandScape is not an exception to this rule. As photographers ourselves, we know what it is that we need to publish our photography in a way that’s captivating, but at the same time flexible and easy to read for our readers. With this theme, you can be both a photographer and a blogger at the same time. We have structured this theme so that you can share individual photographs while writing long-form blog posts about your journey to all the amazing places that you have taken your photos back from. 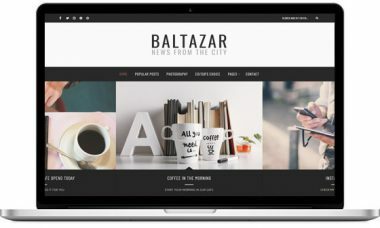 If you are looking for a beautifully designed WordPress photography theme that is also lightning fast, look no further. LandScape’s design and code has been built specifically for optimal website performance. You can pick and choose what to show on your site, and no extra resources will be loaded. The best themes perform well because they’re friendly to the reader’s eyes. When building LandScape we also gave extra attention and detail to the way we display fonts and font hierarchy across the content. 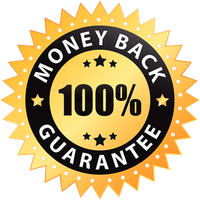 On top of that, we carefully structured font weight, characters per line, baseline grids, contract, and colors so that the reading experience is smooth and pleasant to the reader’s eyes. 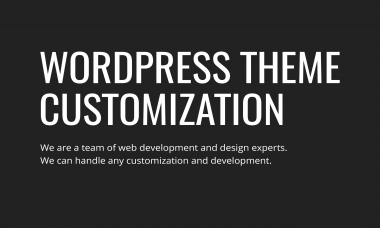 The best WordPress themes come with great SEO flexibility. We pride ourselves in our ability to make LandScape an SEO-friendly photography theme right from the start. Our code is semantic and follows the latest HTML5 and CSS3 best practices, ensuring that the site is in compliance with the latest requirements of modern search engines. We know how important it is to be able to customize the color and layout scheme of your blog, without the need to dig deep into the codebase of the theme. LandScape photography theme gives you the option to modify the color scheme of your blog or website in any way imaginable. You can select custom layout elements based on your requirements so that your blog is never cluttered with something that you don’t want to be there. Social media and email newsletter support are added with third-party plugins which integrate seamlessly in LandScape. You can then add custom widgets to your sidebars and widget areas. This way you can include social media links, and custom-built email newsletter signup forms to build your email list right from the start. 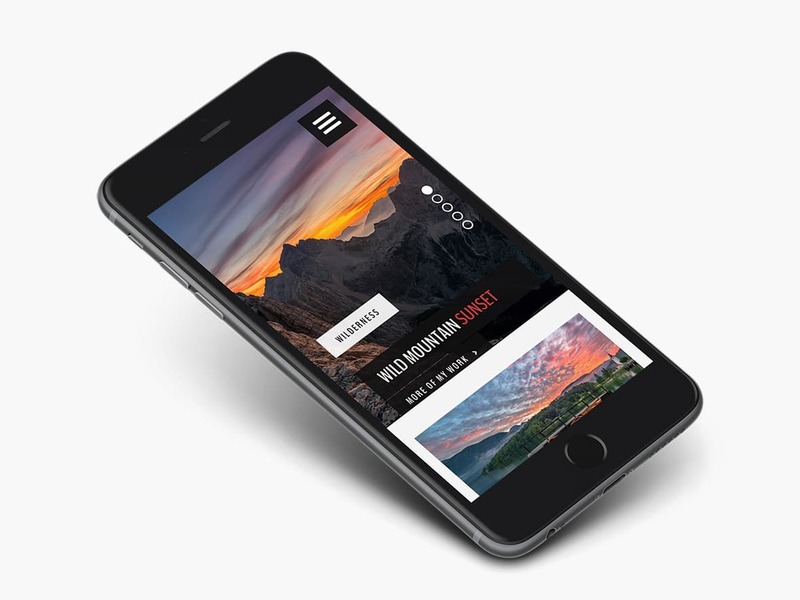 LandScape is a responsive WordPress Photography Theme, which means that you won’t have to worry about making your portfolio or website mobile friendly. It already is out-of-the-box. Whether your readers are viewing from their iOS or Android devices — the design will automatically scale to suit their device resolution. Without any additional work required on your part. Retina-ready functionality will ensure that readers who use Apple hardware to access your site will have a pleasant viewing experience of your website. We revamped our backend and integrated a new administration panel. It uses Option Tree plugin as the base but is designed to seamlessly integrate into our WordPress Theme. 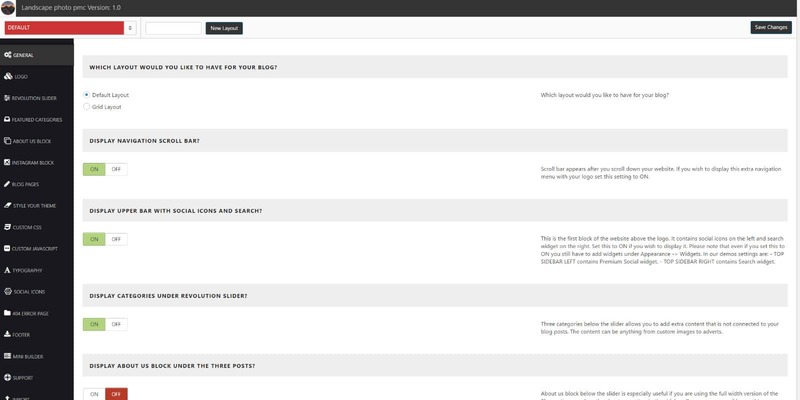 The screenshot below is representing the new Admin panel that we think you will like and is a step forward. There hasn’t been a single time that we have turned away from helping our customers solve a problem for them, and you can count on our dedicated support team to give you the feedback and necessary help whenever you’re stuck with a particular problem. While all of our themes are built to be easy to use, certain errors and problems can arise, and we want you to feel comfortable with reaching out to us whenever such problems occur. Functionality and security run at the core of PremiumCoding. We will ensure that Landscape theme stays up to date consistently, and is frequently measured for security compliances to meet the industry standards. fixed issue when no layout was added via beta page builder.